Comments: This bird has very white wing tips. There were no gray spots in the primaries though the gray on the outer part of the wing extended fairly far out onto the outer 2 or 3 primaries. 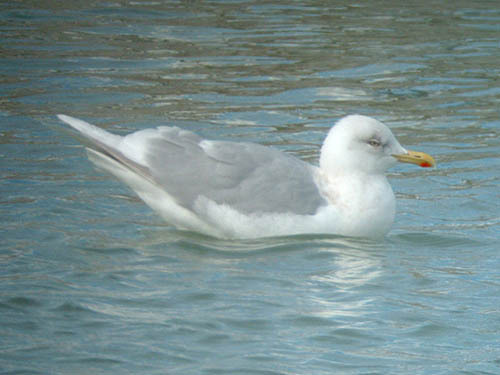 The mantle was only slightly paler gray than the mantle color of a Herring Gull.